The Stone Man is an unusual story. It immediately reminded me of the classic sic fi story, 'The Day the Earth stood still,' where a robot came from space and terrorised the earth. That story was made into a film way back in 1951, but the similarity is passing, and a lot has happened in the last sixty years, so let's move on. When I first started reading the Stone Man, I had a hard time with it. The main character was frequently flippant and wasn't very likeable. The narrative had a style that was grating and hard to get used to. The first 10% of the book took me about a month to read. Every time I picked it up and read a few pages, I became disparaged and read a different book instead. I almost gave up on it, but I thought I would give the story one last try. At the point where the main character has to travel up north on a moped (an inspired plot line), something very odd happened. The story became interesting. Tension rose from nowhere. What had been a boring, annoying story suddenly took on new depths. Interesting events unfurled. 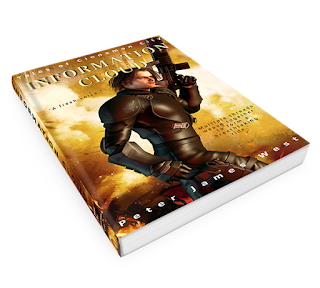 The book took on a thrilling new style and purpose. I wondered if I was reading the same book. From the moment the main character gets on a friend's moped, the story and writing style improves dramatically. I don't know what happened to the author at that point in the story. I can only imagine that he drank a can of Redbull and became inspired by a box set of Alfred Hitchcock movies. From the moped moment onwards, the story propels the main character through a series of strange and surprising events, forcing him to deal with new characters that have also been caught up in the mystery of the Stone Man. Together they try to understand what is happening, and they work together to deal with the imminent threat of the Stone Man's arrival. The story covers quite a time period, and the characters are interesting and believable after the first few chapters. Although the story did take a while to get going, the last ninety percent of the book was thrilling and entertaining. I found myself returning to the book whenever possible to see what happened next. In the end, it was an exciting and tense read. 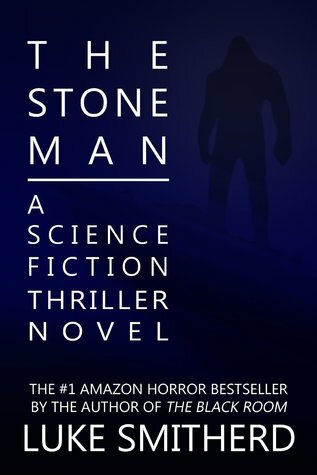 I gave The Stone Man 4 out of 5 stars. I would recommend this book to science fiction fans who like a tense, thrilling story line.